I love Mario Batali. The cheerful ginger purveyor of all things Italian who’s always dressed in bright shirts and my grandma’s Crocs makes me giggle with delight. He’s a dynamo in the kitchen and an ingenious marketer, both of which make me crush on him just a little bit harder. Normally, I prefer my men a little on the angry and intense side. I like men that get irate, although there’s a fine line between easily annoyed because someone is falling down on the job versus complete wackadoo. I like ’em with a little edge. Think Gordon Ramsay or Anthony Bourdain…not Marv Albert or Alec Baldwin. 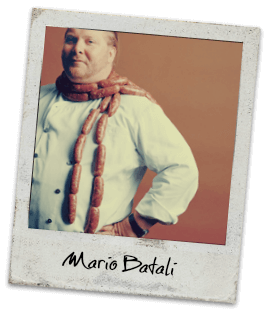 So Mario Batali wins my heart purely for his cooking and marketing genius. He doesn’t bring the brooding intensity or layered complex hostility I enjoy in my men. He’s nice. I mean really nice. Even when he talks with my boyfriend Eric Ripert about how he got revenge on a jackass chef. He’s still nice about it. I learned that little tasty tidbit one night while watching random youTube cooking videos on television. The idiot chef threw a hot pan of food at our Mario’s chest because it wasn’t cooked to said dumbass’ specifications. So, Mario dumped two huge handfuls of salt in the douches mother sauce before walking out. I have the utmost respect for how nicely he got his silent revenge. Can I digress for a minute and say what an awesome invention Chromecast is? Don’t get it twisted Google, I’m not trying to market for you, but Chromecast has made me want to cancel the $50,000 I pay to the cable company monthly. Anyways, back to our conversation. I watched alot of Gordon Ramsay that night and needed a little calming television so I could properly enjoy my Cabernet induced buzz and fall into a peaceful sleep. I YouTube’d around on Bon Appetit’s channel and found some of Mario Batali’s cooking shows. This was where his mind-blowing pizza crust tip was hidden. Click play to watch it below. It was so simple! I cried, I screamed, I laughed! If you’ve ever made a pizza crust, you too will shed a tear at its simplicity. Par-bake or pre-bake the pizza dough. That’s it. You heard me right. I literally shed tears…why didn’t I ever think of that? By par-baking your pizza crust it has a chance to get nice and chewy. You will never cut into a soggy underbaked middle ever again. 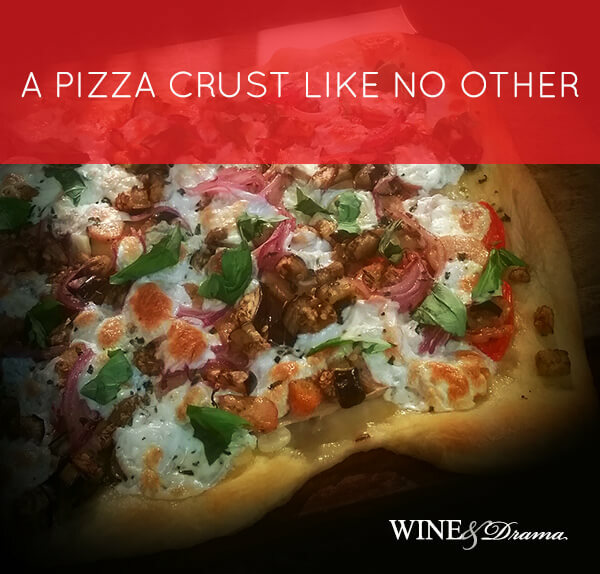 You will finally have a perfect pizza crust every single time! Mario Batali, I could kiss you, you and your pizza, which I would then eat.